The Thindex Overlay System is used to overlay an existing concrete or acrylic surface without the disruption caused by the excavation of an existing surface. 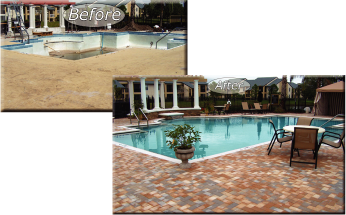 The Thindex Overlay System not only provides an immediate cosmetic enhancement but also a long lasting solution for cracked concrete! To learn more about the Thindex Concrete Overlay System, visit our Thindex webpage or contact your Export Manager.